Dell Match Play Sunday Ratings Plummet Without Tiger; How About A Monday Finish? Austin Karp reports on Saturday’s 2.4 rating for the 2019 Dell Match Play featuring Tiger Woods in the round of 8. Sunday’s final day on NBC featuring the Kevin Kisner-Matt Kuchar final saw it’s lowest last day rating since 2010 Karp reports, a 1.6. However, that all time low was against the Vancouver Olympic Games. This year’s 1.6 was only slightly down from the 1.8 Sunday drew the last two years. Still, there is a sense that Sunday is anti-climactic, whether due to player fatigue (and so-so-golf) or just the limits of only have two matches. I proposed on Morning Drive a Thursday start, with Saturday’s broadcast bringing us elimination day while Sunday shows us the round of 16 and round of 8. This would get the final match away from the NCAA Regional Finals and let golf get some limelight with a Monday finish, perhaps late in the day on Golf Channel. The current sponsor is said to not be pleased with the small crowds and small field on Sunday’s. As I noted for Golfweek, a little bit of a shine was taken off the pre-match play proceedings with word surfacing of Dell’s desire to change the format. As an unabashed fan of this format, I did not take this well as much as I admire what the company has done to save this stop. Thankfully, the action begins Thursday and impressively drew a field of every top player in the world, minus Rickie Fowler and Adam Scott. Several pools standout, and you can view them all here along with TV times and other info. But if you need any inspiration to get ready for the fun, Skratch has done a nice job digging up the old reliable spats for all time. It was especially fun to see the rarely-shown Tiger-Stephen Ames execution. Enjoy! I just wish we also could see Keegan with the lapdog in the parking lot after. Oh wait, that’s why we have YouTube. Rex Hoggard with the details on what appeared to be an asinine suggestion to use match play to qualify for a weekend of stroke play. Although the PAC didn’t seem to have much interest in that format change, it appears the PGA Tour continues to search for a way to tinker with the Match Play format, which went to group play for the first three days in 2015. I penned this for Golfweek on the subtle changes to the revamped rules as we approach the first high-profile match play event, the WGC Dell Technologies Match Play in Austin. Most of the changes involve changes in terminology, perhaps to the chagrin of traditionalists. With Rory McIlroy and Dustin Johnson playing golf at the highest level imaginable heading into the Masters, expect the focus this week to turn to Tiger Woods and Jordan Spieth. Woods has not played in the WGC Dell Match Play since its move to Austin and as Dan Kilbridge notes for Golfweek, seems due to take things up a notch in his Masters prep. The Golf.com gang debates whether this is good prep for Woods and Alan Shipnuck wonders if the new format guaranteeing three matches will dull Woods’ senses. I think Tiger would have more adrenaline for the old win-or-go-home format. For him this is all about getting reps ahead of the Masters — actually winning matches will be a bonus. For Spieth the UT grad returning the friendly confines of Austin, the struggles are on the course, not on the range, as he explains to Steve DiMeglio for Golfweek. AUSTIN, Texas – Sixty-four of the top 66 players from the Official World Golf Ranking (OWGR) have officially committed to the World Golf Championships-Dell Technologies Match Play, which will take place March 27-31 at Austin Country Club in Austin, Texas. The tournament will feature the game’s biggest stars from around the globe in a rare match-play format. World No. 1 Dustin Johnson, 2018 FedExCup champion Justin Rose, reigning PGA TOUR Player of the Year Brooks Koepka, THE PLAYERS Championship 2019 winner Rory McIlroy, 80-time PGA TOUR winner Tiger Woods and former Texas Longhorn Jordan Spieth are among the notables heading to Austin. Woods, a three-time winner of the WGC-Dell Technologies Match Play, is making his first start in the event since 2013. The field includes players representing 17 different countries from across the globe. Final seeds for the 64-player field will be determined on Monday, March 25 when the week’s Official World Golf Rankings are released. The bracket will be unveiled live on Golf Channel Monday, March 25 from 4-5 p.m. CT.
Will Adam Scott Start A New Trend Of Players Passing Up WGC's? Anyone who has looked at the new PGA Tour schedule sees weak spots on the list where top players will be tempted to stay home. Mexico City sits awkwardly before a busy run of Florida events, the Match Play still very close to the Masters and the WGC moving to Memphis after the major season and before the playoffs. Wouldn’t it be ironic if the WGC’s, field killers to so many longtime PGA Tour stops, were to start taking hits because of the schedule? As for the WGCs, Scott, ranked 41st in the world, might change his mind as the season progresses, but for now he seems set on there being no deviations from the plan. "I feel like there are good tournaments right around them that are a preferred option," he said. "It is tricky. I thought that was interesting for my schedule change. I wouldn't have thought that was the case, but that is the case at the moment." The forecast is mostly good--hold your hats Friday apparently--and the match play friendly Austin Country Club is back along with a strong field for one of my favorite events on the calendar. You still have time to sign up for the PGA Tour's official Bracket Challenge. You can also see the bracket there. For intel, the PGATour.com staff broke down all 16 groups. Jordan Spieth is suspicious of the Reed Group 4 draw, reports Rex Hoggard. Spieth also talked gamesmanship and how he ultimately thinks its a fun part of match play, writes The Forecaddie. Hoggard tackles that topic of gamesmanship for GolfChannel.com. Dustin Johnson is defending and ramping up his Masters preparation this week, writes Bill Speros. Lance Ringler uses Golfweek's Sagarin rankings to figure out which groups are the toughest. For me, Group 7, which came up the easiest numerically (!?) features Garcia, Schauffele, Fritelli and Sharma is a must watch either way. For Matt Adams it's Group 4 with Spieth, Reed, Schwartzel and Li is the most competitive. Henrik Stenson: Match Play Purist! We've heard of players skipping the upcoming WGC Dell Match Play because they don't like the old one-and-done format so close to the Masters, but as Will Gray reports for GolfChannel.com, I'm pretty sure this is a first: Henrik Stenson is skipping because he's a match play purist. Stenson did offer a “middle ground” option like the one used at the British Amateur, where 36 holes of stroke play determine the bracket for single-elimination match play. But given the current format structure, he won’t be making the trip to Austin. A stacked leaderboard, dreadful weather in most parts of the U.S. and the Phil Mickelson factor helped the 2018 WGC Mexico City climb 21% Sunday. Poll And Wrap: Match Play's Renaissance, Two Small WGC Tweaks & What Is Next? Tim Finchem's greatest legacy may be his support of match play despite annual consternation over a format that literally grew the game. After three years of round robin guaranteeing players three matches, there is still some kvetching about the loss of knockout dramatics, but even after a year where two WD's had the potential to issue a fatal blow, the WGC Dell Match Play was an enormous success: high energy, international intrigue and so much great skill on display. As I wrote for Golfweek's weekly issue, match play is enjoying a renaissance through some strange combination of Finchem's devotion to saving the format, the move to round-robin play, the increased affinity for team match play events and the high risk, huge reward alternation in NCAA team format. Match play is cool again. Considering that the sport was built on match play centuries ago its little wonder that Jordan Spieth said last week it should be deciding a major. Television ultimately put the kibosh on a return of the format, making it ironic that television now embraces match play because of the faster pacing, raw emotions and overall excitement it brings. In our ADD world, each match has stories to tell and each hole produces a result. And in our crowded sports landscape, worrying about filling 33 minutes of post-match dead time takes a back seat to putting forward an event generating buzz. 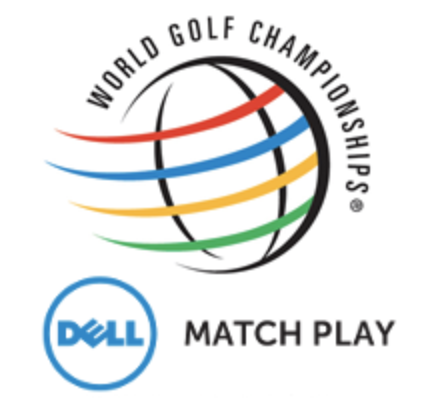 This long post will try to resolve how the WGC Dell Match Play can get better and how can we work more match play into the schedule? The first is simple: lose the halves. Fans and media are asked to work too hard during the round robin play trying to figure out pod scenarios which include half-points for halves. They are not interesting and sudden death playoffs add much-needed tension to the first three days. The second solution would not have had a huge impact in 2017, but should be considered and was suggested to me by fine souls not seeking credit: reseeding after round robin play by world ranking. The NHL seeded its playoff teams for several years and then reseeded after each round to reward top seeds. But due to travel-planning issues, the practice ended in 2014. Again, this is for years when the ranking form holds better and seems like an easy solution. As I noted in the Golfweek piece, European Tour Commissioner Keith Pelley is all-in on match play due to its faster, edgier elements as well as providing tangible results to chew on during Thursdays and Fridays. He is said to be quite protective of the new Perth stop and has introduced a team match play event called Golf Sixes this May. So before you vote, I'd like to nominate some other fomats. Naturally I want to see them all but realize it's likely unrealistic on a crowded schedule. Then again, after Zurich enjoys much admiration for its new better-ball format this May, other sponsors may be looking to alternative formats. Here are the five I could come up, though I'm sure there are others. --Four ball. Imagine the fun of two-player teams, only at match play. The players pick their partners ala the new Zurich Classic format. I'm suggesting best ball instead of some combination including foursomes play because...yep, it's for the stymie! Imagine the intrigue of teammates nursing a putt up to stymie the opposition! The strategic and dramatic possibilities would make this must see TV, and it would be good to see players play the ball down again on the green. Shoot, we'll let you clean your golf ball even, but then you must replace so that the fun can begin. --9-hole round-robin and 9-hole matches. Why not just cut the entire thing in half? Shorter matches with more urgency legitimizing the 9-hole round. --Stroke play, followed by knockout. This is a solution suggested to remedy the WGC Match Play when it was under fire would give players two rounds of stroke play qualifying that determine seeding. Matches are then played in a traditional single elimination bracket. --PGA Championship. What if the top 32 players are exempt from two rounds of qualifying? Perhaps as with the Ryder Cup, there is a PGA Championship points race that determines the exemptees and helps build excitement for the event. Once the matches start, every now and then a club pro might qualify and face a top player in round one. Better yet, the PGA would have an epic identity. What other type of match play events would you like to see? The final day lasted longer than Dustin Johnson wanted. The outcome was what everyone expected. After beating Jon Rahm 1 up despite a valiant comeback by Rahm, Steve DiMeglio notes for USA Today that even the opponent is in awe. Not a bad roster of players he knocked off! Dominant? Sure, just don’t call it easy. These are the words of a player who went 112 holes this week and never trailed. A player who competed against seven world-class opponents and, one by one, watched them retreat like he was playing a five-day-long game of Whack-A-Mole. The final round highlights from PGA Tour Entertainment. WGC Match Play Is Back, Join The ShackHouse Bracket League! Austin Country Club and the WGC Dell Match Play's move to Texas proved to be one of the biggest hits of a busy 2016 schedule. A perfect mix of lively risk-reward holes, energetic crowds, a TV-friendly course and some stellar matches made for a memorable week won by Jason Day. Once again 64 of the world's best--minus Henrik Stenson (5), Adam Scott (8), Rickie Fowler (9), Justin Rose (13) and Adam Hadwin (51/getting married)--are here, replaced by Jason Dufner (65), K.T. Kim (66), Joost Luiten (67), Pat Perez (68) and Si Woo Kim (69). The random draw was held Monday night at the Hotel Van Zandt and aired live on Golf Channel. Here are the brackets in list form and there are some intriguing matches to be played Wednesday, Thursday and Friday before we cut to sixteen players. Ryan Lavner broke down the brackets for GolfChannel.com. Golfweek's Brentley Romine targets ten players to watch, many I'm in full agreement on. The ShackHouse league will be giving an Odyssey putter with the new MicroHinge Technology to our winner, though the real joy will be in beating House and myself. FYI I have Jordan Spieth winning it all after beating Dustin Johnson, while I have Marc Leishman in the final match after having beaten Tyrrell Hatton. Here is our league, sign up asap! Poll: What Provided The Most WGC Match Play Intrigue? WGC Match Play Day One (Parking Lot) Theatrics! 2016 WGC Match Play Brackets: Better Than Most? Playing with the Dell bracket, there are some really fun pods and potentially dreamy quarter and semi-final matchups if the favorites advance (if, if, if). Here is the GeoffShackelford.com league page. FYI I have Rory in the final against Ryan Moore. And I've installed Bubba as the 2-1 favorite to make the first "match play is all luck" comment. As Doug Ferguson notes in his roundup of the WGC Match Play bracket draw, the marquee match up features old pals Jordan Spieth and Justin Thomas. PGATour.com's Mike McCallister offers a similar breakdown, highlighting that aforementioned match-up plus other intriguing draws.